Moshe ascended early in the morning and descended early in the morning. Rabbi Menachem Bentzion Sacks used to expound upon this theme. The climb to God, the spiritual drive to perfection, must begin early in one’s life. In reference to Moshe’s receiving the second tablets (34:2), the Torah similarly emphasizes: “Be ready in the morning, and go up in the morning to Mount Sinai, and be placed there before Me at the top of the mountain.” Within these words is contained a message for all generations. Namely, one must prepare in the “early morning” of one’s life and begin an ascent in order to stand before Hashem when one reaches the peak of one’s maturity. Our sages have praised those who partake of a hearty morning meal. We are told (Bava Kama 92b): “I will remove illness from amongst you.” (Shemos 23:25). This refers to the removal of eighty-three maladies associated with the disease called “marah”. Also among the benefits gained by eating a morning meal is that one is granted the ability to study Torah and to teach. Finally, “Sixty men may pursue one who has early meals in the morning, but they will not overtake him.” All of these advantages can be applied as well to one who partakes of spiritual food. “Torah is compared to water, as in Yeshayahu 55:1.” – Bava Kama 17. The more a young person is nourished early in the morning by studying in the dawn of his life, the stronger and more solid are the fibers of his spiritual foundation. By means of this reinforced and vitalized internal charge, our youth can merit to study Torah, to teach Torah, and to have the knowledge of Torah permeate their beings. Shlomo HaMelech has written (Mishlei 22:6): “Educate a child in the way he should go, and when he is old he will not depart from it.” This system serves to immunize children from illnesses of the soul which otherwise infect them with ‫ .מרה‬Only when our youth are equipped with Torah ideals can they withstand the difficult and corrupting challenges which the world will present to them later. Fortunate are we that our youth has not caused us embarrassment in later life. Many people gain wisdom in their later years. When they look back on their youth, they regret having squandered so much time. Some people’s “golden years” are unfortunately marred with regret over the time they lost. Young people can learn from their elders. People who reflect on the past during their last days often say, “My greatest regret is that I did not spend more time with my family.” Has anyone ever said, “My greatest regret is that I did not spend more time at the office”? While experience teaches most efficiently, some things are simply too costly to be learned by experience, because the opportunity to apply these lessons may never arise. Our learning too late that we have spent time foolishly is a prime example. try to examine my actions with the consideration of how I will look back at them in the future. None of the above is at all comforting to those of us who came to faith later in life. 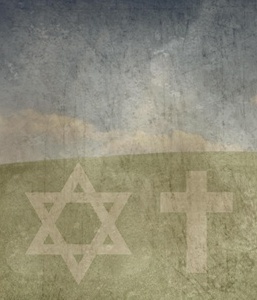 Worse, since my initial coming to faith was not within a Jewish context and there were a lot of “mixed messages” between Christianity and Judaism traveling in my household when my children were young, I was unable to communicate a distinct Jewish “intent” for my children who now, as young adults, operate only marginally within the Jewish lifestyle and not at all within one of religious observance and faith. More’s the pity and certainly as the Father, it is my fault. Not that my children blame me, I suppose, but given the dangers we hear about intermarriage and assimilation as delivered by the Jewish community and by Jewish history, I feel the weight of responsibility rests upon my shoulders. Remembrance and regrets, they, too, are a part of friendship…And understanding that has brought you a step closer to understanding humanity. Being human and given my particular background, I may understand humanity, but I am no less vulnerable to human foibles and failures as the next man. I suppose, from the Jewish point of view, at least if I use the above quoted commentaries as my guide, I’ve arrived at the party far too late and wearing the wrong suit for the occasion. Only the Master suggests that it may be otherwise. That helps me but it doesn’t help my family, particularly my children who, as young adults, are now responsible for making their own decisions without any sort of “parental influence” from me, at least the unwanted kind. But if I didn’t arrive early enough, perhaps it’s still not too late. Hearken and hear Israel, (Devarim 27:9) this is the time marked for the redemption by Mashiach. The sufferings befalling us are the birth-pangs of Mashiach. Israel will be redeemed only through teshuva. (Jerusalem Talmud, Taanit I:1) Have no faith in the false prophets who assure you of glories and salvation after the War. Remember the word of G-d, “Cursed is the man who puts his trust in man, who places his reliance for help in mortals, and turns his heart from G-d” (Yirmiyahu 17:5). Return Israel unto the Eternal your G-d; (Hoshei’a 14:2) prepare yourself and your family to go forth and receive Mashiach, whose coming is imminent. I wish I could prepare my family to go forth and receive Mashiach, but the best I’m able to do at the moment is attempt to prepare myself. On the other hand, my wife recently confided in me that she feels I blog more about my feelings of going back to church than I ever discuss with her. I was rather shocked at hearing this, since I had no idea she had any interest in my church activities at all. Maybe what I do to prepare myself to go forth and receive Mashiach is more noticeable than I thought. On the one hand, God and faith seem to be happening too late to do much good in my life and in the lives of those I love the most. On the other hand, Rabbi Tzvi Freeman had this to say about the Rebbe’s lessons, which may also apply to me. There is a recurring theme in the volumes of stories told of the Rebbe: The tale of the man who was in the right place at the right time. There are the stories of someone embarking on a trip to some distant place, and the Rebbe gave him a book to take along, or asked him to do a certain thing there, or to meet a certain person. Or the Rebbe simply asked someone to go to a place, with little direction of what to do there. And then, in these stories, it always works out that just at the right time the right person turns up in the right place and all the story unfolds. It’s all a matter of making connections: Every soul has certain sparks of light scattered throughout the world that relate to it in particular. The Rebbe sees the soul and senses, like a geiger counter, the sparks that await this soul. All that was needed is to bring the two within a reasonable proximity and the rest takes care of itself. The stories are meant as a teaching as well. The Rebbe was revealing to us the wonder of our own lives, that there is purpose latent in whatever you are doing. To extend the metaphor and express it as a question, is God still writing my story with purpose and intent in what I am doing today? Is it still possible for my life to draw others to God?